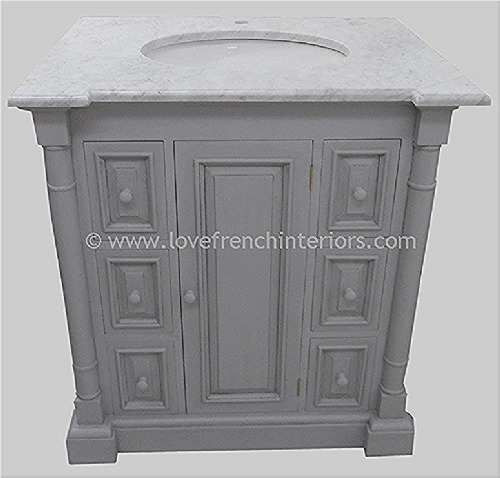 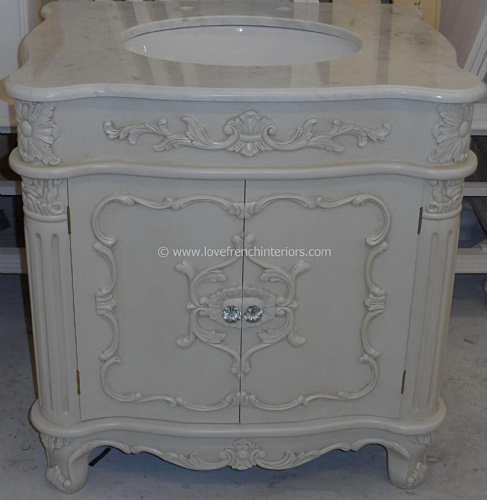 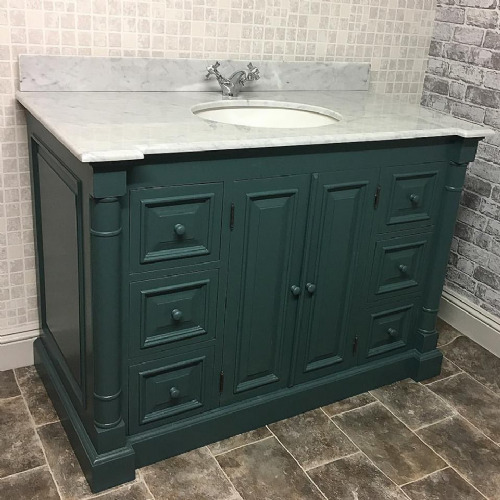 Our Single French Vanity Unit with 5 functioning drawers (3 doubles and two singles) can be painted to the colour of your choice as all painting is completed by hand in the UK. 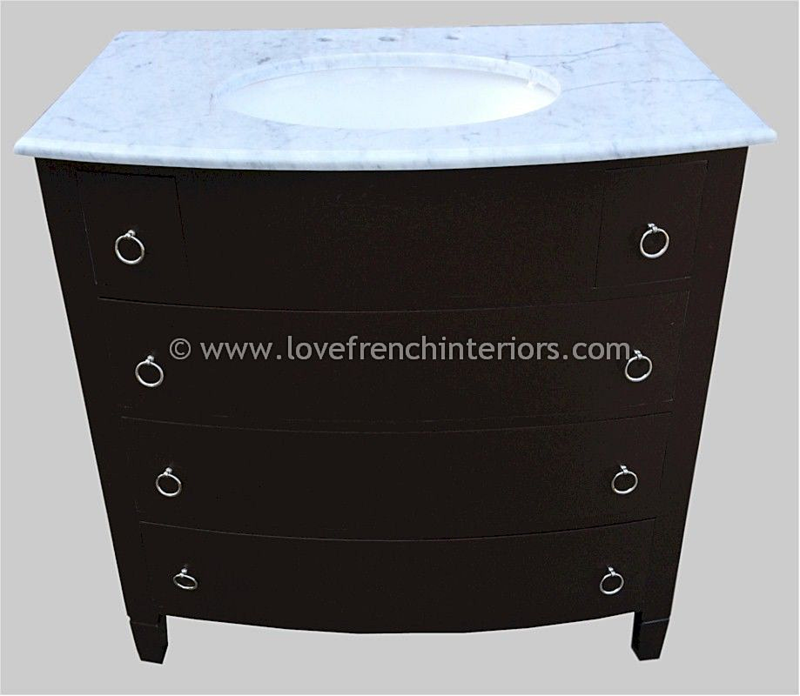 The handles shown are not included - we offer some different styles or customers may supply their own. 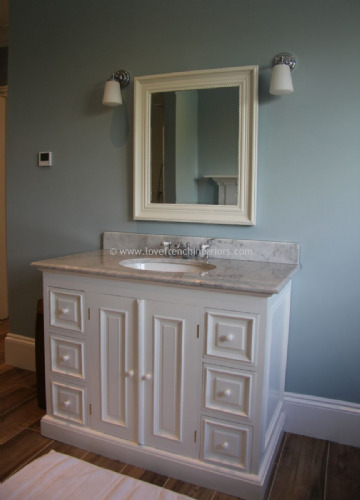 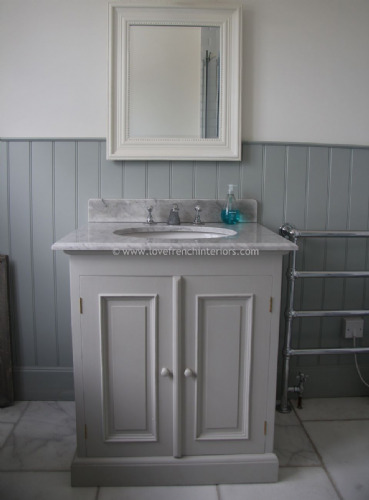 The vanity shown is a previous order and was finished in Farrow & Ball Mahogany No 36 which is a dark brown.